Yep. 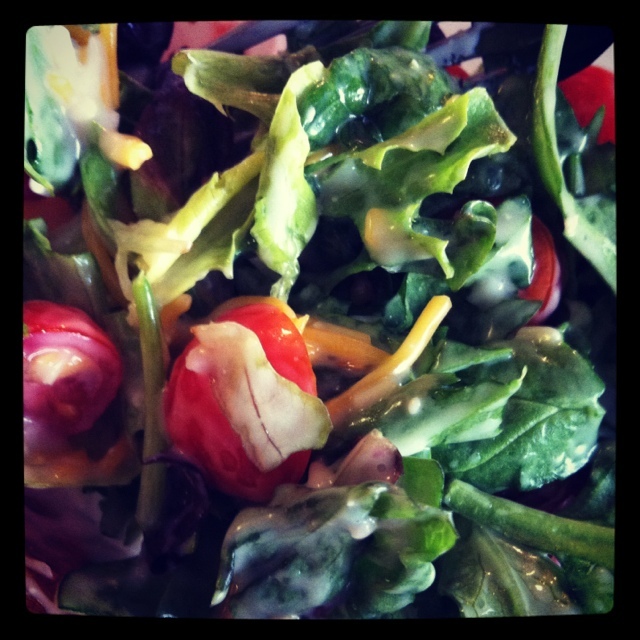 That’s the topic of this post… salad dressing. Which might seem like a insignificant little topic but if you think about anytime you go on a diet what is one of the things that they always regulate? Which is a shame because most salad dressings are sooooooo gooooooood. Of course, this is coming from a girl that really only eats ranch and blue cheese dressings. But both of those are sooooooo gooooooood. Anyway, even though the medium for this topic is salad dressing, that’s really not the main point. The main thing on my mind is: excess. And excess is the real reason that most diets limit salad dressings. It is the real thing reason that most diets are trying to limit. And the real reason most people lose weight on a diet… not the specific foods they are eating (although that is important to a degree), but the fact that they are eating less. Calorie Counting: the main goal here is to limit the amount one eats in a day. It works for some people because they limit the amounts they eat to stay in that range. It failed for me because I would tally how many brownies I could eat that would keep me in that range. Atkins:by cutting out carbs from your diet you limit the amount of food you eat. It works for some because carbs are the foods they are “addicted” to. Worked for me once then failed me every other time because I still didn’t have the self-discipline to not eat the foods on the “no” list. Weight Watchers: which is essentially calorie counting but just on a much smaller scale (no pun intended- haha!). But it also causes you to limit the amount of your daily intake. It works for some because they are limiting what they eat in a day, possibly making better food choices as well. Plus I think their groups help a lot too. It seems that most people that have success with WeightWatchers do so because of the groups. It didn’t work for me because a) I hate math and even with the calculator I had to tally all my stuff, and b) again, I had to have the motivation and self-discipline to stay within my points. Plus I did the online version… so, no groups. But all three of those (and there are, of course, a zillion more) limit food choices and in doing so they limit salad dressing. Yes, see, I got back to the topic again! Ha! And here’s the deal. If I’m gonna eat a LEAF, then I want to put something on said LEAF to make it taste like……… well, like a not-leaf. And that stuff is called salad dressing. So I don’t want to put on something fake-tasting because then it’ll be like eating a fake-LEAF. And that is even worse! I used to eat what was essentially leaf soup. A handful of salad with globs and globs of dressing. In essence I just didn’t want to taste the leaves at all. But one of the most important retrainings that is happening to me is the avoidance of gluttony. And a truck load of dressing was… gluttony. Yes, apparently, one can even gluttonize with a salad. And so recently when I ate a salad and put on my regular amount of dressing, I looked down at it and thought… not. pleasing. to. God. And I scraped a ton of it back into the jar. And the salad was awesome. Maybe because now I eat salad with all sorts of goodies on it: carrots, cherry tomatoes, celery, cilantro, chopped peanuts, feta cheese, bell peppers, mushrooms, and a good mix of salad. I don’t even give much room for those dern leaves anymore. Heck, I could probably leave them out entirely! But I think it was extra good because I scraped off all of that bitter-tasting, guilt-producing, stomach-churning gluttony. And instead sprinkled on some amazingly tasty “honor-God”. You should try some… it’ll change your life.